Manages, develops, and protects water and related resources in an environmentally and economically sound manner in the interest of the American public. Is the nation's largest wholesale water supplier, operating 338 reservoirs with a total storage capacity of 140 million acre-feet (an acre-foot, 325,851 gallons of water, supplies enough water for a family of four for one year). Provides 1 out of 5 (or, 140,000) Western farmers with irrigation water for 10 million farmland acres that produce 60 percent of the nation's vegetables and one quarter of its fresh fruit and nut crops. Is the second largest producer of hydropower in the United States and operates 53 hydroelectric powerplants that annually produced, on average, 40 billion kilowatt-hours for the last 10 years. Delivers 10 trillion gallons of water to more than 31 million people each year. Manages, with partners, 289 recreation sites that have 90 million visits annually. Reclamation’s management and recreation activities contribute $48.05 billion in economic output, and support about 387,777 jobs. Ensure the continued delivery of water and power benefits in conformity with contracts, statutes, and agreements. Operate and maintain projects in a safe and reliable manner, protecting the health and safety of the public and Reclamation employees and improve financial accountability and transparency to our contractors. Honor State water rights, interstate compacts, contracts with Reclamation users, further the Secretary of the Interior's Indian Trust responsibilities, and comply with all environmental statutes. Plan for the future using programs that focus Reclamation's financial and technical resources on areas in the West where conflict over water either currently exists or is likely to occur in the coming years. Enhance the business operations of Reclamation in accord with the Managing for Excellence initiative. 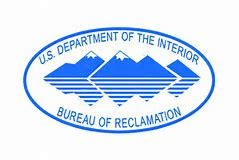 Provide for the implementation of the newly authorized Loan Guarantee Program that can assist districts with large operation and maintenance/replacement projects on Reclamation facilities and facilities used to deliver Reclamation supplies. Developing strategies to manage and deliver water more efficiently and effectively to our customers in order to help satisfy the many needs of irrigation, municipalities, power and the environment and serving as a technical resource for water users and planners. Working in partnership with states, Tribes, water and power customers, and others to seek creative and collaborative solutions to Western water issues. Ensuring our dams do not create unacceptable risk to the public by monitoring, evaluating, and when appropriate, performing risk reduction modifications.